The Lost Hostel in Varkala is the perfect weekend getaway hostel for good views, places to visit around, and a comfortable place to be. Staying a night here will cost you only INR 397 upwards. 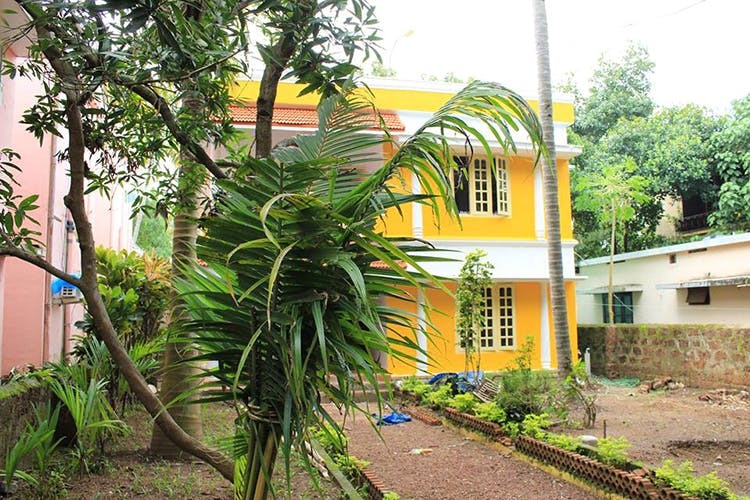 Just three kilometres from the beach, The Lost Hostel in Varkala is ideal for solo travellers, backpackers and even couples and groups, the hostel is a stone’s throw from other attractions and even the Varkala cliffs. It’s surrounded by mango trees in season and coconut trees and being off the road, it gives you your fair share of peace. With free WiFi, there is also cable TV and a common area, where you can relax, read a book or just listen to some of your favourite tunes. There are some board games here to play too. There’s also a laundry facility and housekeeping. Breakfast is free, included in the package. The hostel has an option of staying in a six-bed dorm available for females or mixed. A bunk here costs INR 397, which is an absolute steal for the facilities and amenities provided here. You could also opt for the deluxe double room, accommodating two people, at INR 999. There’s another type of room called the Studio, with a view of the gardens nearby. The cost here is also INR 999. All rooms come with an attached bathroom and all linen is provided. They have plug points and storage in the rooms as well. For some grub, head to the ABBA Restaurant and Everest German Bakery, for some Swedish-style bread and others made in their brick oven, along with good seafood. The very well lit Darjeeling Cafe is another option, for its fish options, either had steamed in a banana leaf or fried. You can rent a bicycle here and pedal away just 3 kilometres away to the Varkala Beach, with its red cliffs and palm trees dotted along the cliffs.